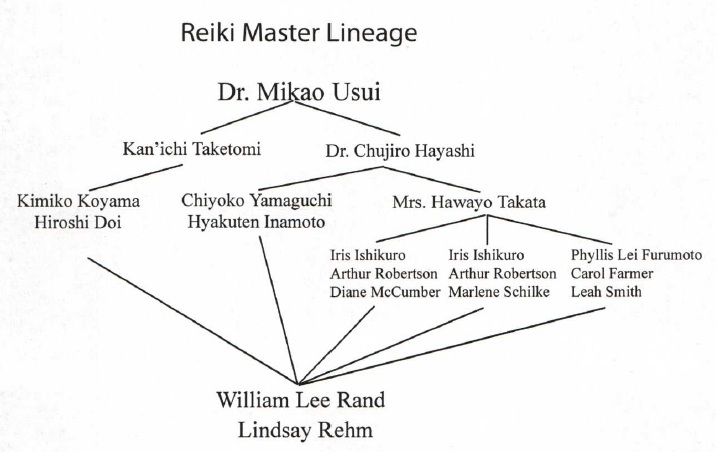 Reiki is taught and passed down from Teacher to Student, and located above is my Reiki lineage from my most recent Teacher, William Lee Rand, Founder of the International Center for Reiki Training. There are many wonderful Reiki Teachers in this world, and it is important to choose one who you feel comfortable with as you embark on this spiritual path. I believe that Reiki finds you, and you will be guided to the teacher who you need to learn from the most at that specific time. I have had four wonderful Reiki teachers thus far; each taught me valuable lessons that I will carry with me always. My journey guided me to four teachers because I wished to learn several different methods and teaching techniques in order to better serve my students and my clients. I enjoy teaching Reiki because it is every person’s right to embrace the healing within themself. From that healing within, we are then able to spread healing to the world. 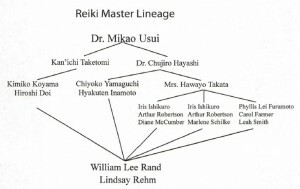 If you are interested in learning Reiki and adding your name to the Reiki lineage, please feel free to contact me, and I will answer any questions you might have.